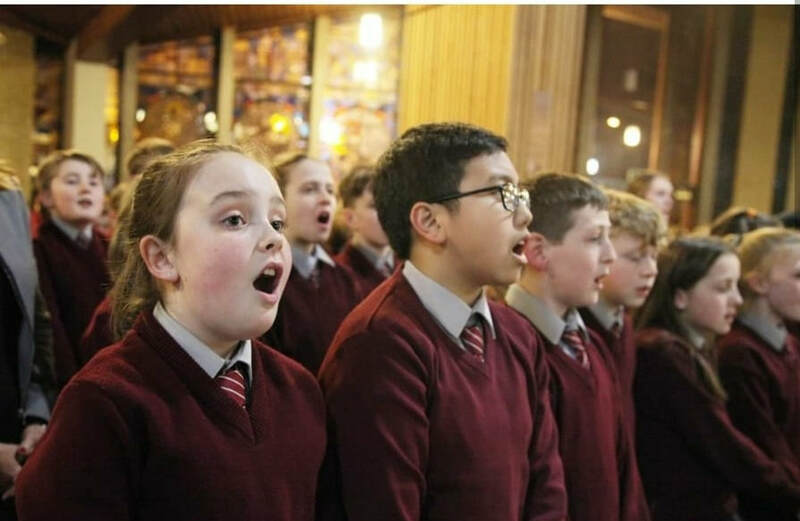 As part of Catholic School’s Week, classes from our three schools went to Our Lady of Victories Church in Ballymun on Tuesday evening, 29th January. 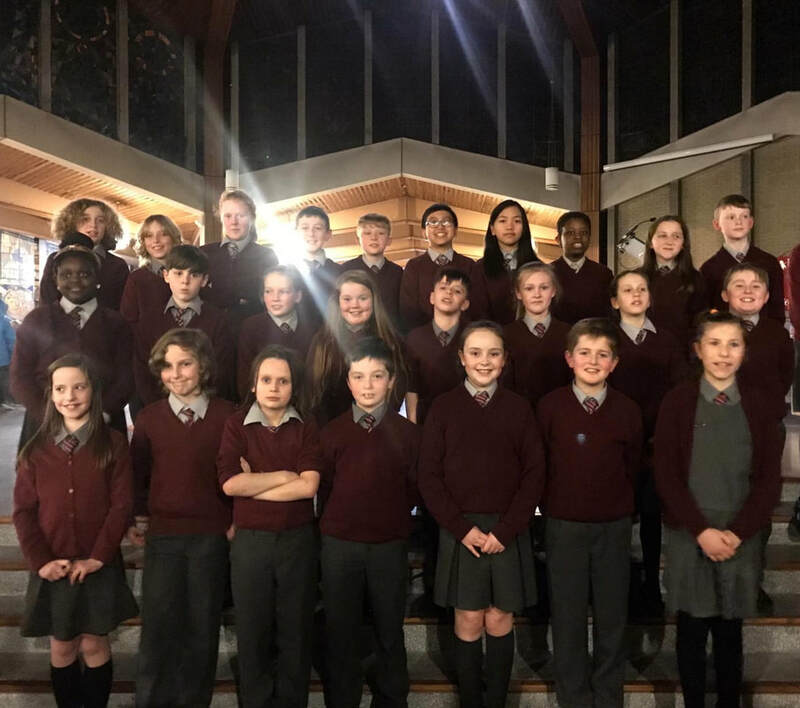 Fifth class from Scoil Mhuire were selected to go. We set off on the bus on a very cold January evening! When we arrived, we joined children from over 20 schools around the Dublin Diocese. 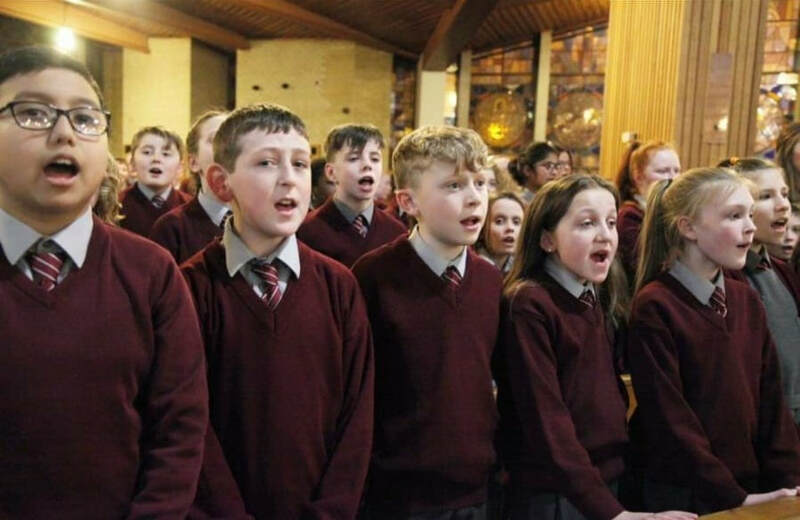 You could feel the excitement building as all the parents, grandparents and visitors arrived into the beautiful church for the evening’s entertainment. We really enjoyed all the songs, reflections and prayers that followed. Our favourites included All Are Welcome, Shout for Joy, A Mhuire Mhátháir and We will Walk with God. We loved singing in the choir and everyone was so well behaved. Mrs. Mescal thought we were brilliant and rewarded us with lovely treats and a night off homework! It was a wonderful way to celebrate Catholic School’s Week.